Halloween, 1969: Barnabas Collins, the reluctant vampire from the ABC-TV soap opera Dark Shadows, appears at the White House to attend Tricia Nixon’s Halloween party for underprivileged children. Which just goes to show that the past is stranger than you might expect. Now, I’ve heard some people say that Dark Shadows is not actually the greatest television show ever made. Those people are boring and not worth listening to. Dark Shadows was an extraordinary use of the television medium, in the sense that if someone gave you 1,225 half-hours of network television, it would never occur to you to make anything even remotely like Dark Shadows. Even the people making it didn’t understand what kind of show they were making, until it suddenly became a huge success and it was too late to do something more sensible. Dark Shadows used the daily soap opera format to create an insane, interwoven mash-up of gothic novels, monster movies, fairy tales and science-fiction. Characters inspired by Frankenstein, The Turn of the Screw, The Picture of Dorian Gray and The Call of Cthulhu would meet, fall in love, betray each other, and then travel through time to save their werewolf cousin. And this nonsense was broadcast on network television, at 4:00 in the afternoon, to an audience composed largely of housewives and teenagers. Dark Shadows was romantic and funny and occasionally baffling and even more occasionally hauntingly beautiful. These are stories that could only have been told in this medium at this particular moment, because nobody who had any sense of responsibility or taste was paying attention to what housewives and teenagers were watching on television. After it was all over, the show went into reruns on public television, which was just another item on the list of things that soap operas don’t do. Then it was on the Sci-Fi Channel for a while, and after that people basically forgot that Dark Shadows existed. These days, people mostly know it as the Tim Burton movie that they didn’t see. But at its height in the late ’60s, it was a national sensation — watched by 18 million people, mostly on purpose. Jonathan Frid, who played Barnabas, received thousands of fan letters a week, many from women offering him their throats. There were Dark Shadows trading cards, comic books, board games, joke books, jigsaw puzzles and glow-in-the-dark model kits. One of the songs from the soundtrack hit #13 on the Billboard Hot 100 Singles chart, holding its own against Bob Dylan, the Rolling Stones and the Plastic Ono Band. A Christian comic-book tract claimed that Dark Shadows was Satan’s favorite TV show. And so, in 1969, Richard Nixon’s daughter invited a moody, 45-year-old Shakespearean stage actor from Canada to come to the White House, wearing fangs and a cape, so he could frighten underprivileged children. This is the story of how that could ever possibly have happened. Sometimes people ask what’s the best way to start watching Dark Shadows, because they know that the early episodes are boring, and they don’t want to give up on it before it gets good. Here’s my advice: Start with episode 250. 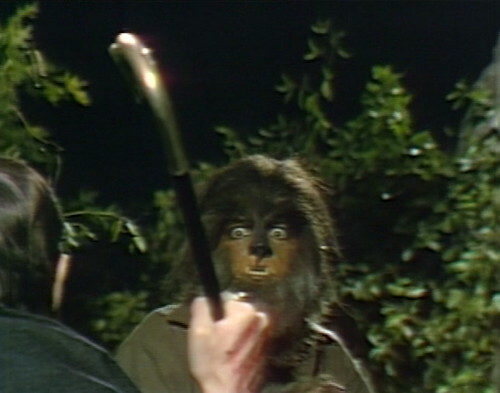 It’s the first really exciting episode — Barnabas has kidnapped Maggie, and he’s planning to kill her so that she can become his vampire bride. 250 is the episode where she decides to fight back; it’s fantastic. After that, skip ahead and just watch the Fridays. They save up the interesting twists for Friday, in order to get people to come back next week. Friday episodes always end with a five or a zero, so next up is episode 255 and episode 260, big turning points in the Barnabas/Maggie storyline. Episode 265 is Julia’s first episode, and it’s a must-see. Episode 270 is the exciting climax of the boring blackmail wedding story that you’ve skipped over. Episode 275 is the official last normal day at Collinwood. Episode 280 is a big family costume party at the Old House, and they hold a big family seance. You should start watching every episode from here. Julia arrives at Collinwood in 284, and things really start to get crazy. I hope you enjoy it. I was 13 when Dark Shadows first aired. I have been a fan since. I still watch it daily. This is a great blog. During all that Dark Shadows merchandising of the 60’s and 70’s, where were the Alladin, or Thermos metal lunchboxes and coloring books? Am I the only creature on the planet who actually LIKES the pre-Barnabas DS? No, there are some ’66ers in the comments. You’re not alone. No, those are my favorite episodes! They just feel like home to me. has a great blackmail storyline. The Phoenix was great and without her there would have been no Barnabas-Angelique-Julia show. Not at all. They have an appeal all of their own. Sure a lot of it is like watching paint dry, but its moodiness and relentlessly dour demeanor is kind of enveloping and oddly involving. The pre-Barnabas storyline was very Gothic Romance Novel. I thought that was the way it would go. No you’re not. I was born in 1990 and i’m 28 and enjoyed the early 200 episodes as much as i enjoyed the other 1000. Especially that great thriller storyline of Matthew who killed Bill Malloy. That was entertaining as hell with little David involved.. I absolutely agree. Just found the website today and I wrote to the moderator recommending it-other than that he has done an awesome job. Yay! Vicki wasn’t shrill and retarded back then. And Burke Devlin was the Real Thing. I love Dark Shadows, watched it in the 1980s and 1990s. I had no chance of getting to see it when it was first aired (unless in another life) my mother was only 8 in 1966 so I had no chance of even being thought of yet. 🙂 Anyways, I am a writer and have the whole series in a coffin shaped box, I use Dark Shadows as a kind of motivation and inspiration for stories I create. I love the older movies and shows they feel somewhat more creative then what is being produced today. Just wanted to post my feelings that’s all. Thank you. I love how someone who is too young for the original airing still likes it. I don’t know how much of my interest for the series is from strong childhood nostalgia. I enjoyed “True Blood,” so I decided to loop back and give “Buffy” a try on Netflix last year, having never watched it. Maybe I gave up too early, but I only made it through a few episodes (I know sometimes shows get off to a rough start before really settling in). But it seemed too jokey and self-aware to me. Buffy didn’t actually get good until the middle of season 2. I didn’t start watching it till it was on FX in 2001 and I was typing and deleting until that point. then I had to go back and rerecord them. in the end we just got the DVDs. They were the first DVDs I bought, other than one Scott Bakula movie. I was 7 in 1966 and I didn’t start watching the show until 1969 and I didn’t watch it for a long time. but when I finally wanted to seeit again I wanted to see it from the beginning. & I like Vicky. Great blog! Been a fan since the show began in the 60s and still in love with Angelique almost 50 years later. I’m now on Episode No. 92. I sure do hope you loop back around and provide your insight and wit into the pre-Barnbas episodes as well. I’m delightfully surprised how much I am enjoying them. I really like seeing Elizabeth, Roger, Carolyn, David and Victoria at the forefront. I also like the mood they create and the interesting camera angles. The black and white just adds to the mood. And I’m one of those rare DS creatures who liked the ghost stories best (though I am a fan of Barnabas and the vampire saga too). So this slow emergence of ghosts is fun to watch. I’ll be interested in seeing when they “corrected” their history of things. They clearly did not have time travel and 1795 in mind at the time, with their repeated statements that “Jeremiah Collins” founded the dynasty and Collinwood. They don’t seem to set him back all the way to the 1700s. They did give their first little hint of ghostly Sarah Collins, when David told Vickie that he talks to Josette and a little girl. Oh, fantastic! That’s very good news. Thanks for the heads-up, I’ll update the info! I just started Season 1 and it’s really not going anywhere. I don’t dislike it but it certainly doesn’t live up to the hype. What’s the best place to start? 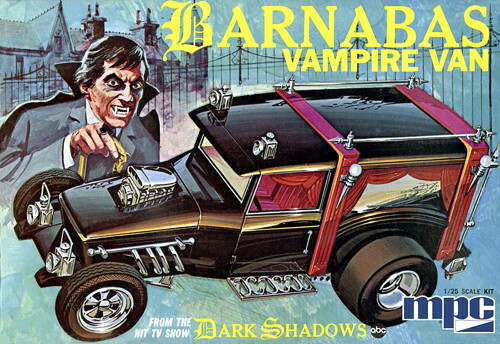 Yeah, the early Barnabas episodes are slow, and the vampire story is mixed in with a blackmail story that drags on. Things pick up when Barnabas kidnaps Maggie (ep 236). In general during this period, the big events happen on Fridays, so episodes that end in 0 and 5 are the most exciting — 240, 245, 250 and so on. Craven — Here’s my recommendation for someone who would like to give DS a good try and just isn’t feeling the slow pace of the pre-Barnabas episodes but would still like the background before going full vampire. I love the pre-Barnabas shows myself (I’ve never seen them until the past six months), but I can see why someone would find them very plodding. I realize that’s a lot of watch/skipping, but those are all the early key points where the show takes it up another notch each time. For someone impatient to get to vampire action, it’s only 10 episodes or so of your time and can give you a lot of good background. Nope. Start with Barnabas. You don’t need to watch boring episodes just to get used to the feel of the show. It’s a soap opera, it’s designed for continuous onboarding. You don’t need background; start anywhere you like. That’s a great primer. I’m watching the early episodes for the first time, and it’s a bit of a slog. I’m glad to know there’s something pre-Barnabas to look forward to. Hey William- Thanks so much for the detailed episode-watching guide! I’m on it! This is more of a generic post to explain how I got into Dark Shadows, which was fairly recently (I started watching it last year on home video). Basically, I started to watch a lot of classic horror movies around 12 years ago — I bought a lot of public domain DVD sets of the genre. From there, I found that I really loved Gothic horror movies, especially the ones that starred Barbara Steele (Nightmare Castle, Castle of Blood). I proceeded to read the entire works of Edgar Allan Poe, Mary Shelley’s iconic Frankenstein, horror comics (mostly DC’s House of Mystery series). I simply cannot get enough of those tropes of dark corridors, paintings of beautiful women and creepy atmosphere. I made it a point to binge watch Vincent Price, Peter Cushing and Christopher Lee movies (along with the works of Mario Bava, and much of Hammer Films’ repertoire) until there was nothing to watch that were made by them anymore. Being someone who grew up in the 1980s when the slasher genre dominated the horror movie market, gothic horror movies from 1957 to 1974 (that I call the AIP/Hammer era) seemed like a breath of fresh air to me. So reading horror movie magazines (like Rue Morgue and Horror Hound), I came across a lot of references to Dark Shadows. I did track down a few episodes around the time that the Johnny Depp movie about DS came out, and I liked what I saw (of the series, the movie, not so much). So, to get my gothic horror fix (which shows no signs of abating, but sometimes I’ll take a breather), I have been watching the show fairly regularly now. As much as people like to make fun of the show, I find it better than a lot of bad horror movies that came out around the same era that it was made in. “Those doubts I have no longer.” Barnabas sometimes delivers a line perfectly, other times he stumbles. This line was perfectly delivered. How neat is this. I just started watching Dark Shadows and thought I’d see what was online for it. Nice blog! Danny, I discovered your blog nearly a year ago and gradually became addicted, thanks to your extremely humorous posts and all the fascinating trivia you include! My very first memories of Dark Shadows are vague; I was in first grade, and my after school babysitter (stay-at-home mom) tuned into DS every day. All I can recall is that there was a vampire and a witch on “that” show. Years later in 7th grade, my best friend and I discovered DS in syndication, which was broadcast at 3 pm Monday through Friday. We would run home as fast as we could when school let out at 2:45 to see Barnabas, Julie, Willie and gang. And then it all ended abruptly one day when the station cancelled. Almost 40 years later, DS crossed my mind. I thought to myself, “I bet that’s on Youtube or Netflix.” Sure enough, I was able to watch the first 210 episodes free of charge on Youtube. Then I picked it up on Hulu, and just finished episode 735 two weeks ago. As of this writing, Hulu has still not added additional episodes. In the meantime, I’ve been rewatching episodes 211 and up. After reading your blog for nearly a year, I have a whole new perspective when I now view these earlier episodes. Thank you for this great blog! I just discovered it at the same time I have been watching the series again and you start right where I am with the introduction of Barnabas. I have started the series a couple of times, first when the DVDs came out, then started over when the Beginnings came out, then started both over when my girlfriend got hooked. Have not ever got to the end, but I am enjoying it again and I am so glad to have your posts and trivia to follow along. Are you planning on ever going back and writing from the beginning episodes? There is so much great stuff in the early days, even if it did lag at times I always found something to admire in those early episodes. After all these years I am still amazed a show like this ever made it to the mainstream. I appreciate all the superb acting and sets- really everything about it more and more each time I see it. Thanks again, excellent work here! Hey Danny, love the blog! It’s one of the most witty, insightful and well-written things on the internet. Have been following along, but haven’t commented on individual entries because I’m about 50 episodes behind. I was wondering if you were going to write about the 2004 unaired Warner Bros. pilot. It’s available on Youtube and I’d love to hear your thoughts on it. Cheers, Liam. Hi Liam: yes, I’m definitely going to cover the 2004 pilot. I’ve been using the pre-emption days for the 1991 revival episodes, and once those are done, I’ll get to 2004 and 2012. I’m glad you’re reading! I have recently been watching the show in its entirety again. The last time I watched was when I was 11-14 years old, rushing home after school to draw the drapes and watch in the darkness. I am loving everything about watching again. Remembering the storylines, the fabulous music, the clothing, the gentility set amid incredible circumstances; but also the ridiculous responses, the goofs, the hideous attempts at monster make-up, and so much more. The biggest surprise is how much I want to slap Quentin now when I thought he was dreamy when I was 12. I had sheet music to Quentin’s theme and played it with 11 year old romantic abandon. Now I think he is obnoxious and stupid. And, seriously, what did the writers have against Maggie, that she was repeatedly locked up in strange places? Ooh, I wonder why your thoughts are on the most repeated cliff hanger at the end of an episode? Was it a smirking Angelique or a close-up of a hammer raised high waiting to strike a wooden stake? Your site is brilliant and every episode post makes me laugh. You hit the…er, um…nail right on the head every time. I’m on episode 1038 right now and kind of slowing down because I don’t want it to end. Thanks for sharing a fun diversion. You’re my kind of fan: you love it for all of the great memories and see it as a classic, iconic time capsule in the uniqueness and flawed wonder that is Dark Shadows. I’m not sure how I stumbled on this blog (I was researching Australian sketch comedy) but when I got here, I couldn’t believe my eyes. For once, I find a web page/blog that is perfectly laid out with white space, intuitive navigation, clear headings, and body type large enough that I don’t have to hit Ctrl+ to read it with my bad eyes. Then I noticed the copy. Unlike the dross on so-called professional media sites, here is perfectly punctuated, correctly spelled copy, mixing both simple and compound-complex sentences which have actually been proofread. The mechanics inherent in all the above are the work of a highly creative and professional writer. Then there’s the wealth of original content, so finely wrought that unlike mindless recaps, each entry becomes a performance–perfectly conceived, magnificently executed. Finally the tone and great humor here are spot-on. In case it wasn’t clear from the above, you’ve done a thorough, superb job of which you should be very, very proud. Just a bit about me. 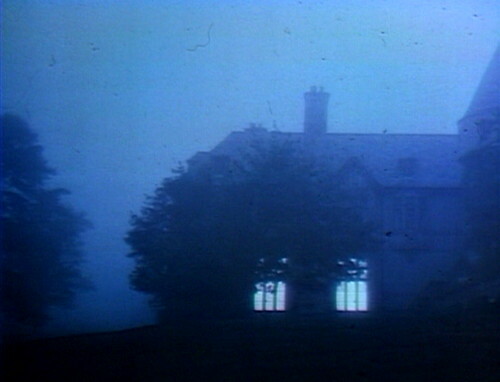 My first memory of Dark Shadows was my baby sitter running outside screaming and crying that “Josette just jumped off Widow’s Hill!” This would have been during the original run and I started watching after the baby sitter calmed down. The first thing that grabbed me was not spooky Barnabas (to a 7-year old), not the terrifying witch, not the threatening screaming Trask, but that amazing weird woman with the deep voice who electrified the screen. That would have been Grayson Hall as Natalie but once we returned to 1968 DOCTOR HOFFMAN ruled, especially when she got the chic hair cut. I’VE GOT THE DOCTOR! I’VE GOT THE DOCTOR! I totally agree with you that Frid, Hall, Parker, and Selby are the cores of the show (especially Hall), but having seen the DVDs forty years later, I’ve got to put Thayer David up there too, somewhere. He’s awesome. So thanks for this great blog and thanks to all the wonderfully informed people writing the comments here with nary a note of trolling, showing off, or tearing down others. And to think that just five years after Dark Shadows ended, we’d get Mary Hartman, Mary Hartman to Dark Shadows the soap opera genre from another angle. OK. Enough. Thanks again, Danny. I’ll be spending lots of time here.